Chipotle Mexican Restaurant has great guacamole, but why not simply make it at home? 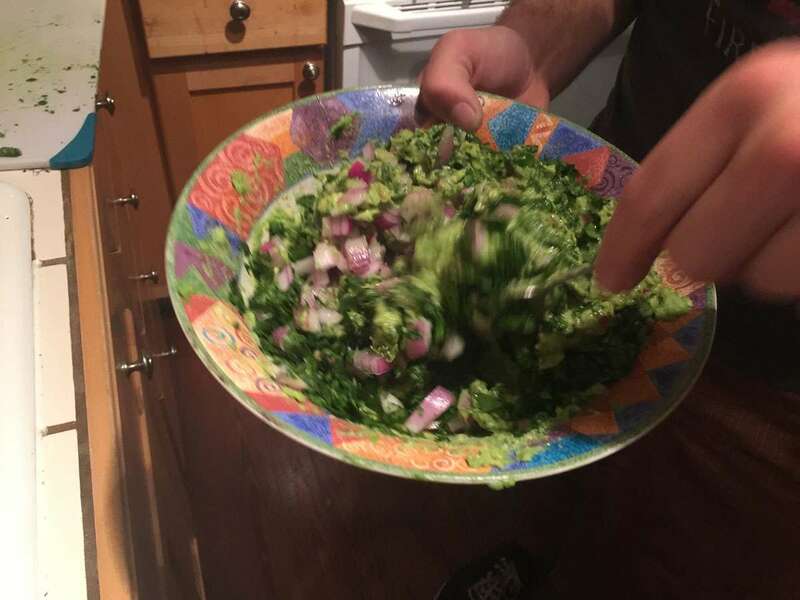 A friend who used to work as a cook at Chipotle shares the recipe with us. He shall remain nameless, so I will simply call him Nathaniel Alabama, violator of corporate employment agreements. Note: The recipe on this page (and ingredients below) will make approximately 2 cups of guacamole. 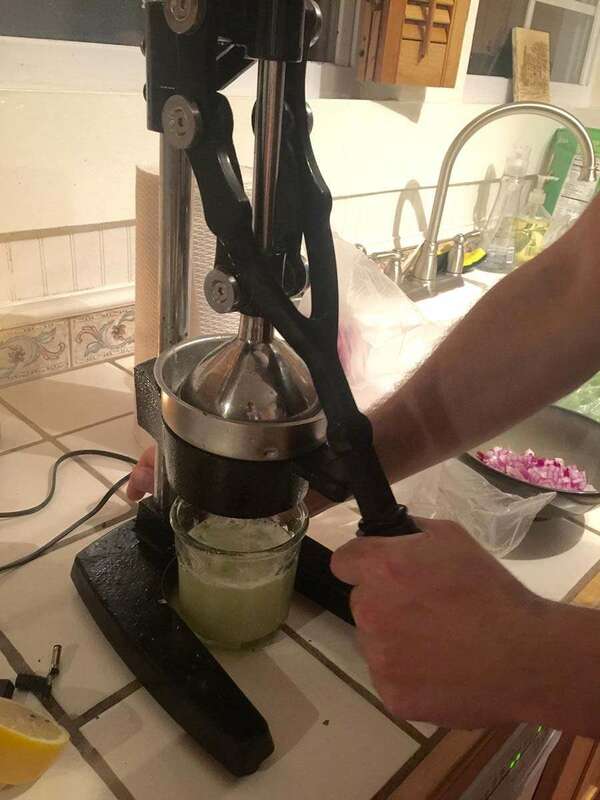 The photos shown are of a triple recipe (6 cups of guacamole). The most important consideration in choosing the right avocado is to make sure that they're Hass avocados and that they are rip. Hass avocados (also known as Mexican avocados) are the OG avocados. 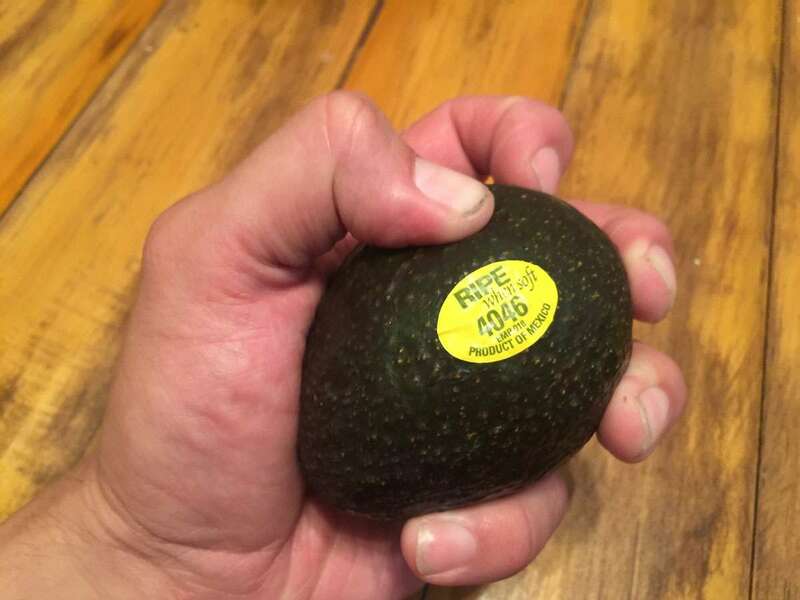 How do I know if an avocado is ripe? You'll know that an avocado is ripe if you're able to mush it with your hands slightly (or into oblivion, if you tried really hard). If you can't find ripe avocados, you can chop them into small cubes instead. However, they will not taste nearly as good. Cut each avocado in half and remove the pit with the heel of the knife. Use a spoon to scoop the avocado out of its skin and drop these pieces into a large bowl. Using a potato masher, heavy spatula, or large fork, mash the avocados into a fine paste. Chop up the jalapeños and red onions. According to Nate, in cooking, "chopping" food should result in morsels between 1/8-1/4" in diameter. Next, remove and discard the cilantro stems (to reduce the moisture content), and reduce the remaining cilantro "heads" into a fine mince. Be sure to cut, not crush, the cilantro. If you smash the cilantro rather than cut it, you will press the oil and water out of it, reducing its flavor. If you have a citrus press or juicer, I highly recommend using fresh-pressed lemon and lime juice. If not, the stuff from a bottle also works well (Chipotle actually uses bottled lemon and lime juice). This one is self-explanatory. The importance of mashing the avocado first (in the second step) is that, if you mash it with the other ingredients, the onions and jalapeños will get crushed and you'll end up with extremely runny guacamole. Mix the chopped onions, minced cilantro, crushed salt, lemon and lime juice into your avocado paste. When choosing your sea salt, be sure to use ground seat salt from a salt grinder. You want the salt to be coarse. 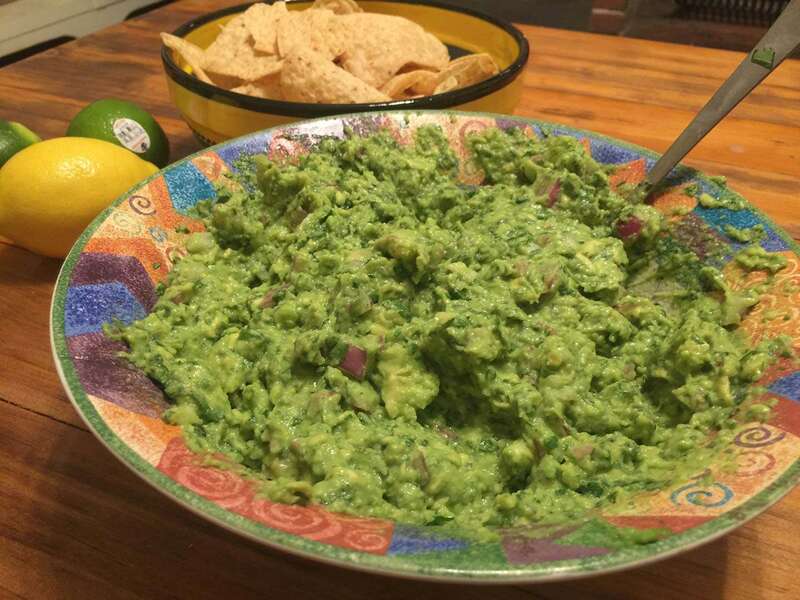 Enjoy, and don't forget to share the guacamole (and recipe) with others!